One question I get asked alot is – how much protein should I be consuming every day? Or how much protein should I eat to lose weight or gain lean muscle mass? The answers actually vary depending on how active you are. Before we answer those questions, it is important that we first answer the question: Why is protein important? Protein is a crucial part of a healthy diet. Your body needs protein to create new cells. This includes creating muscle cells, organs, repairing or creating new skin, etc. Without protein, we could not survive. Everyone is different and some experts vary on the exact formula when it comes to protein intake – but you can use this as a general guide. Strength Training is a difficult task and you have to be patient with it. Most beginners come to the gym and think that they can get the body of their dreams in a matter of days and they will look like models. But that is not true. You have to give it time and make the right decisions. It will not take two or three years to build a perfectly shaped body, but you would have to work hard for it. So how can I do it right? Here are a few strength training tips for my beginner friends that they will find helpful. You have to eat the right food to get the right body. You should take the right amount of proteins, fats and carbohydrates. Even though, exercise will be buffing your muscles and make you look like a movie star but you need to have the right fuel in your system to do that exercise. If you do not have the right amount of food in your body, you would not have the energy to perform those advance exercises, so eat healthy, full meals three times a day that have the proper fats, carbohydrates and proteins. Make sure that your plate is covered with forty percent of proteins, fifty percent of carbohydrates and ten percent of fats. One word and that is “Training”. You have to train hard if you want a good-looking body. Remember that you would be lifting weights and you have to do that properly. One wrong move and you can go through a broken wrist. Your trainer will give you a set of weights that you would do in his supervision. You would have to perform each lift with dedication for a certain time on regular basis. With adequate training efforts, the role of your trainer is very important as well. If you think that you can handle it yourself then you should be cautioned. A trainer provides full guidance and he or she is going to be your guide on each step. You would need a trainer because without it you cannot succeed, he or she will keep you motivated and make a balance between workout and going too hard. If you join a gym then it will be much better because this way you would not have to buy the equipment and pay the trainer. You would just have to pay the gym fee and start working out with the rest of the beginners. When you are training, do not repeat the same exercise for more than 3 days in a week. Fix three days for your strength training and the rest of the three days for aerobics and flexibility. Besides strength training tips, you must not ignore your nutritional plan as it acts as a catalyst in strength training workouts. If you are looking at weight loss recipes then no doubt you are also interested in smoothies’ recipes because many diet watchers love to drink smoothies. Not only are they low in calories but they combine some of the healthiest ingredients that you need in your daily diet. Smoothies for weight loss can be made from just about anything but you specifically need ingredients in the right proportion that make a drink that is not only healthful but tastes good as well. In fact, many people replace their regular meals with smoothies as well because they can boost your metabolism and they provide very important vitamins and minerals that only natural fruits can give you. In doing so, smoothies also help diet watchers overcome an important challenge, how to reduce your calorie intake and take care of your appetite at the same time. One of the most popular and effective smoothies for weight loss was introduced by Dr. Oz on the Oprah show and is known as the Magical Breakfast Smoothie because it has only 136 calories. This smoothie combines some of the most nutritious ingredients to make a drink that can help keep you full until your lunchtime. For this smoothie, all you have to do is blend in blueberries, bananas, soy protein, flaxseed oil and apple juice with water and ice in your preferred proportions. Instead of apple juice, you can put honey as well depending on what you have available. Weight loss recipes that are the best normally have mid-day snacks as well to keep your tummy satisfied. One of the great ways to do it is with Joy Bauer’s 5 Calorie Smoothie that is also a Good Morning America’s recommendation. This particular recipe is part of Joy Bauer’s 90/10 Weight Loss plan and all you have to do in this recipe is to add about two cups of either peach or orange with water. Blend in five fresh or frozen strawberries to this mixture and you will get the refreshing drink that has only five calories! Smoothies for Weight Loss that have exotic fruits tend to be quite an attraction for many diet watchers and this is true for the Honeydew-Kiwi Fruit Smoothie. This particular drink is rich in potassium and vitamin C and is low on calories and sugar. With cubed honeydew, sliced up Kiwi fruit, one apple, lemon juice, ice cubes and small amount of sugar, you will get a delicious smoothie with a different taste. A number of weight loss recipes for those people on the go contain the recipe for Thermos-ready smoothie which you can pour directly into your thermos before heading out. 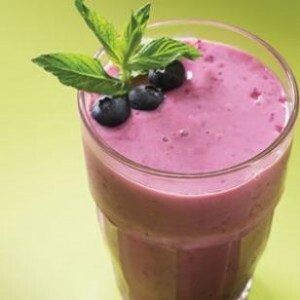 Containing bananas, apple juices, frozen berries and silken tofu, this particular smoothie is rich in protein and fiber. It has a total of 288 calories, which is a decent enough amount for a mid-day or afternoon snack. Some of the other smoothies for weight loss include the traditional strawberry banana smoothie, watermelon smoothie, peanut butter banana smoothie and especially for coffee and chocolate lovers, the Mocha Madness Parfait. Exercise has a major impact on our mental and physical health. It improves the quality of life and makes it worth living. Have you ever noticed that when you are angry or anxious about something, all you want is to run? If you have done that then you would know that exercise is the best way to keep your mind clean and away from depression, anxiety and even feelings like anger. Exercise will help you feel better in tough times. Here are some mental benefits of exercising regularly. This is one of the best mental benefits of exercise. Your brain will be sharper and stronger. If you exercise daily, then you will have high concentration and an active mind. Your memory will be sharper and you can be more active at work. You would be able to understand things better; you would be able to think clearly. Your responses will be faster and you will be able to handle your daily chores efficiently and energetically. Your habit of regular exercise will boost up your confidence and make you feel good about yourself. Your personality will be impressive and you will be much more prominent than you were ever before. This will make you the center of attention and you will be able to prove your worth. Decreasing your stress and anxiety is a great mental benefit of exercise. Exercise is the best way to reduce stress and anxiety. When people have problems like stress, depression and anxiety they want to take a pill for it and just wait for the drugs to kick in, but that is not the sensible approach. A better way to take care of your stress and anxiety is by doing exercise like jogging or cycling – this way you can release all of your frustration and you will feel much better. You will notice that after exercising, you will feel more alert and refreshed. This is one of the killer mental benefits of exercise. You will be more alert and active and your sense will be sharper. You will be able to look at things like you never did before. You will be in a good mood all the time. You would not have to be cranky and sulky when you have a great way to get all of your pent up energy out of your system. You will be much happier and your mood will be much lighter. You will have much better social approach than you ever had. You would get a chance to meet more people and make new friends. Like jogging in the morning and joining a gym might help, you meet new people and you could make new bonds with them. It would be a surprise if you would meet your life partner too. “An apple a day, keeps the doctor away” – this is probably the best way to summarize the benefits of fruit diets for most people. Fruits whether taken in the solid form or as juices, do not only provide you with vitamins and minerals but also help protect your body against diseases by improving your immunity. Different fruit diets have different effects on your body but in general, the beneficial effects of these diet plans are higher than the harmful effects. Nonetheless, it is recommended that you do not follow one particular diet plan for a very long time. Instead, you can alternate between different fruit diets so that your body gets all the essential nutrients needed to stay healthy. Citrus fruits including oranges, lemons, limes, grape fruit etc. 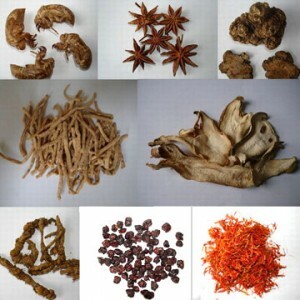 are a rich source of vitamin C, zinc, magnesium and a number of other minerals. The fruit diet benefits associated with citrus fruits includes a healthier skin, improved blood pressure and a quick weight loss. The diet is followed for forty-eight hours only and requires you to have nothing except for citrus fruits. You can have plain water or citrus fruit juices to drink and only oranges or grape fruit to eat. This flushes down the harmful toxins from your body, improves your metabolic rate and thus helps you burn calories fast. The best thing about this diet plan is that there is no limit to the amount of juice or fruit you can have, eat as much as you want to since there are no saturated fats in citrus fruits that can accumulate in your body. If you are suffering from diabetes, then try taking in more of grape fruit than oranges since grape fruits makes your pancreatic functions more efficient. However, the diet plan should not be extended to more than 48 hours; the fruits diet benefits can be maximized only if a balance is kept between the diet plans. 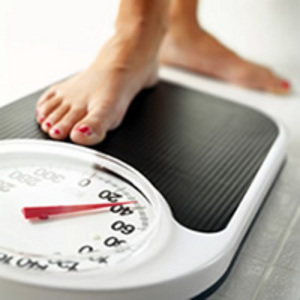 The idea is to make you lose weight without reducing the efficiency of your body. Apples are rich in iron and are usually recommended to people suffering from anemia or lack of hemoglobin in the blood. Apart from this, it is also seen that apples are rich in content that helps your brains memory function, so with an apple diet, the chances of you suffering from Alzheimer or Parkinson disease are very low. Similarly, berries whether they are blue, black or Acai are rich in a number of minerals and vitamins that stimulate your brain functions and help improve your memory and thought process. 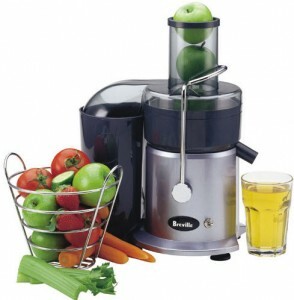 The diet involving apples and berries is especially good if you want to lose weight permanently. Unlike the citrus fruit diet, the apple diet involves eating apples regularly but with a combination of other fruits and vegetables, so that your body keeps on fulfilling its protein requirement as well. The fruit diet benefits in case of apples can be increased if you include a combination of apple and orange juice in your everyday routine. Even if you are not following a particular diet pattern, make fruits an essential part of your diet in order to stay fit and well in shape.